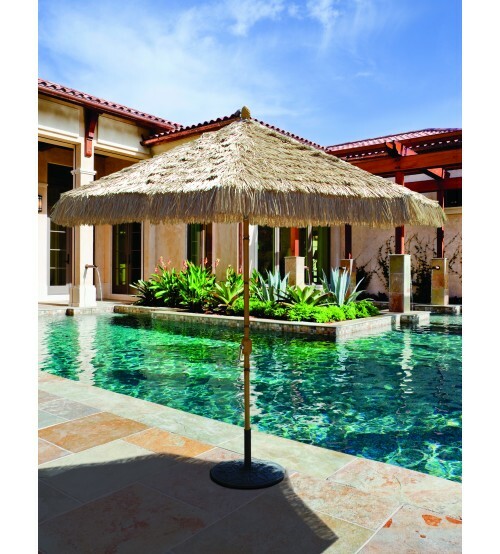 Bring the feel of the topics to your home with a bamboo replica umbrella and thatch cover. 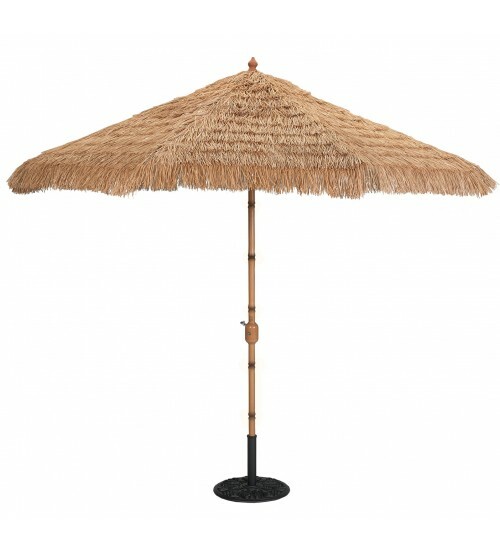 Our Tiki style covers are called Thatch and come in a natural thatch color or a dark java color, while the bamboo finishes are available in matching natural bamboo and dark jave finishes. 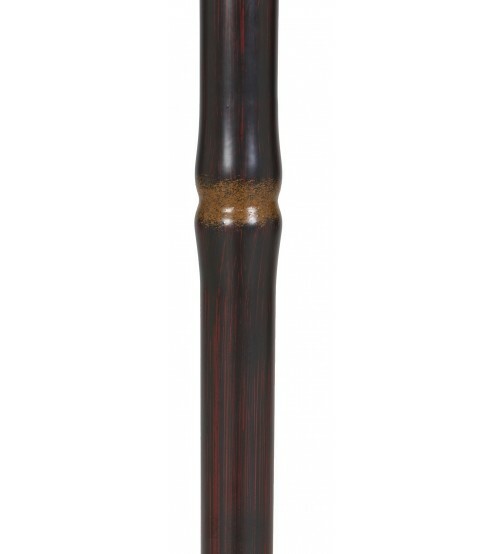 These umbrella are sure to add fun and excitement to your entertainment decor. 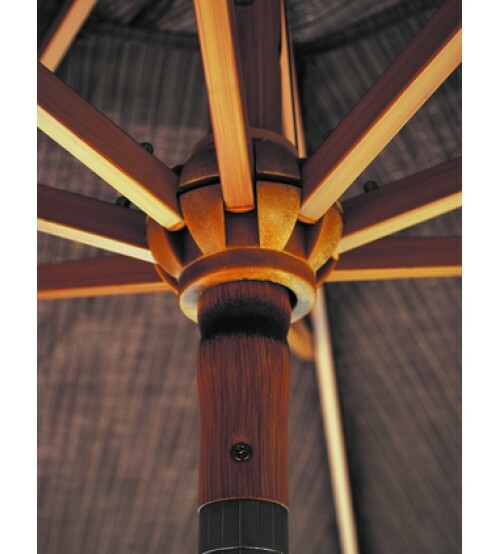 The 738 Deluxe Auto Tilt Market Umbrella is available in 2 beautiful finishes, bamboo, drift wood, and java . 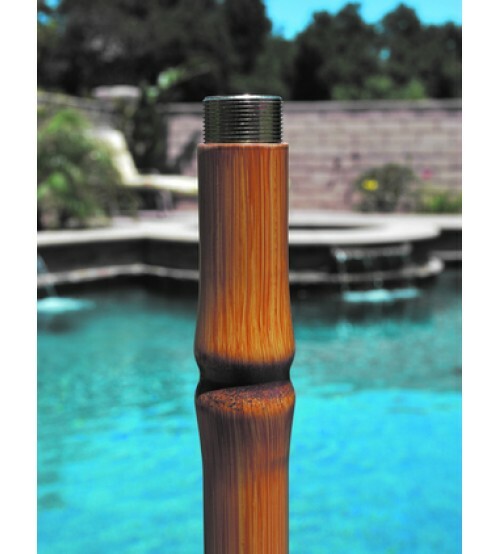 This Umbrella cover also comes in a wide variety of quality fabrics, including Sunbrella. Equipped with the most advanced features found on tilt umbrellas, it boasts an auto lock mechanisms, which allows smooth tilting operation and the tilt to be used up to 30˚ angles. 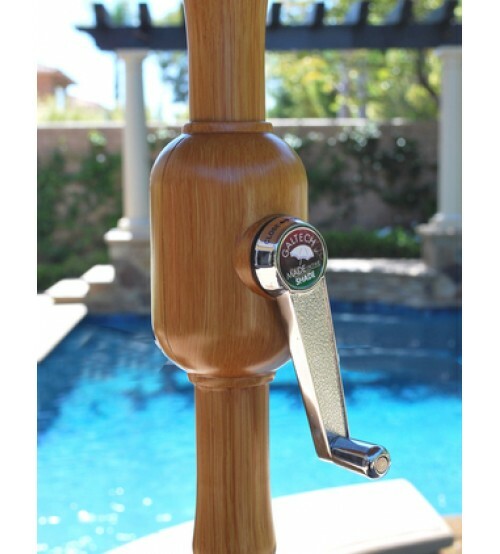 Recommended for residential use.